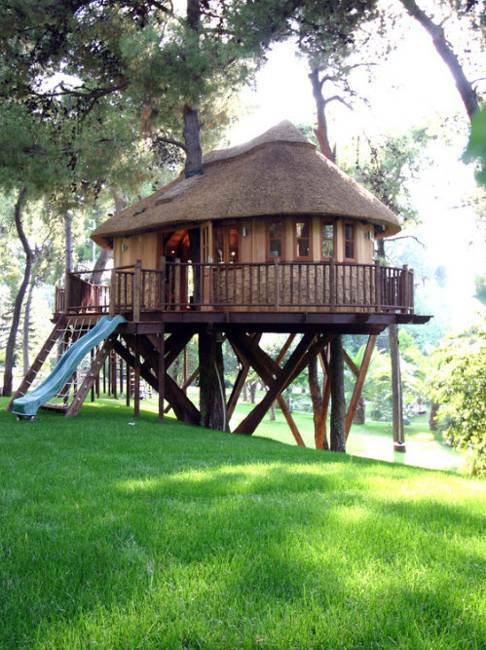 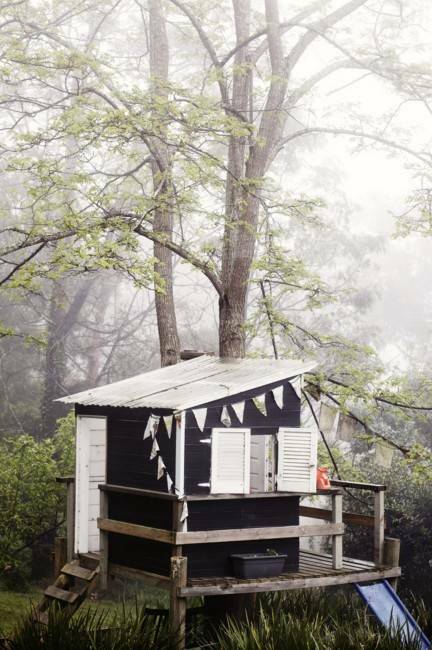 Tree houses for kids are wonderful additions to backyard designs. 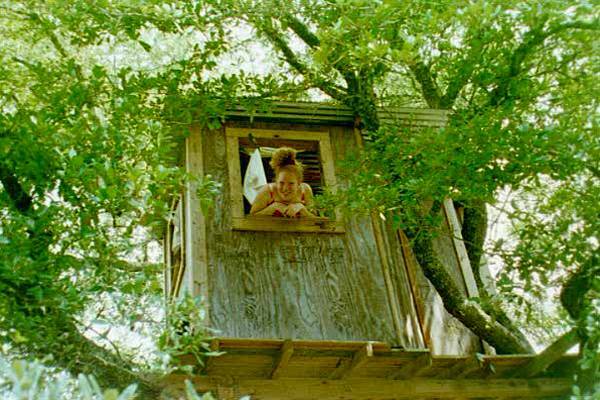 Kids find tree houses very entertaining. 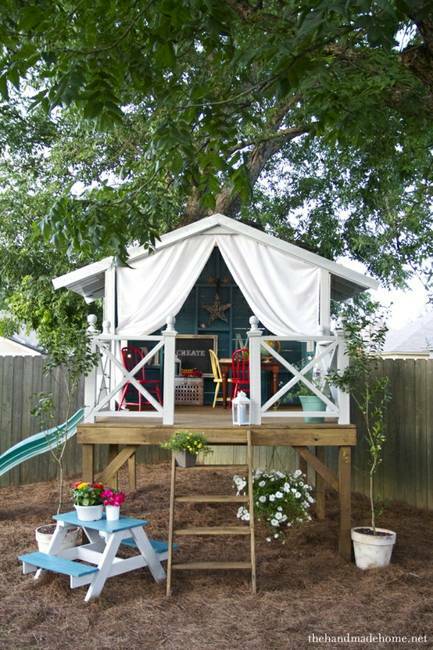 When considering backyard landscaping improvement, parents and grandparents should think about adding these wonderful structures to their spacious backyard ideas. 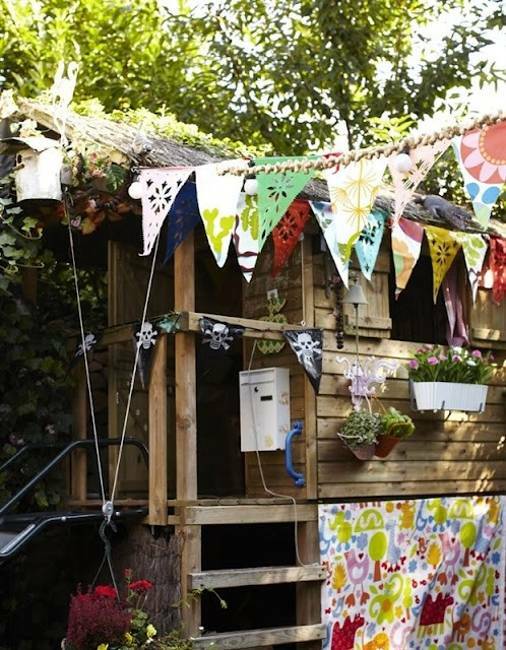 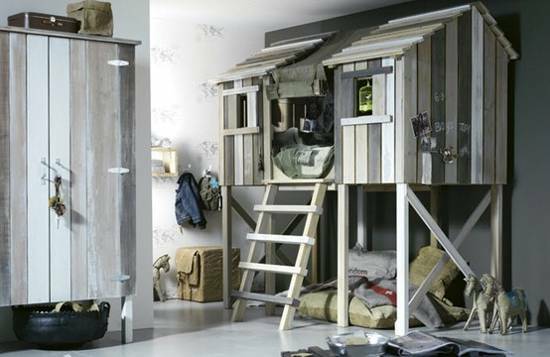 Lushome collection of tree house designs for kids provide great inspirations for DIY projects. 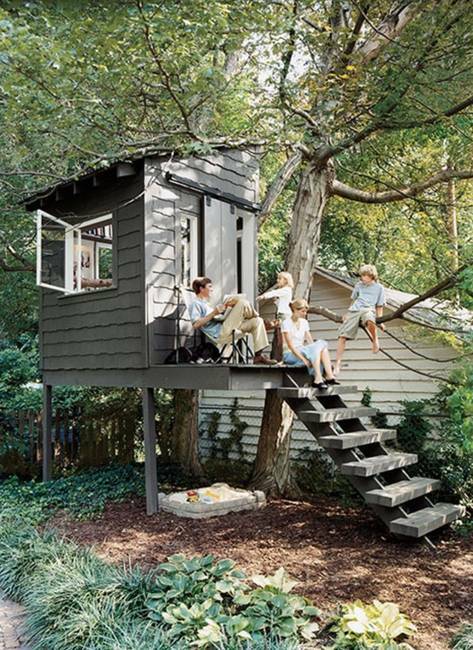 A nice tree house can offer an excellent way to extend comfortable outdoor living spaces and add more fun to backyard designs. 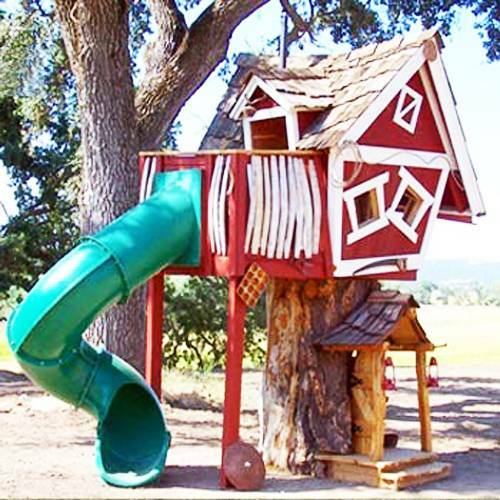 A tree house creates an outdoor playground that will entertain children and their friends in summer, spring and fall. 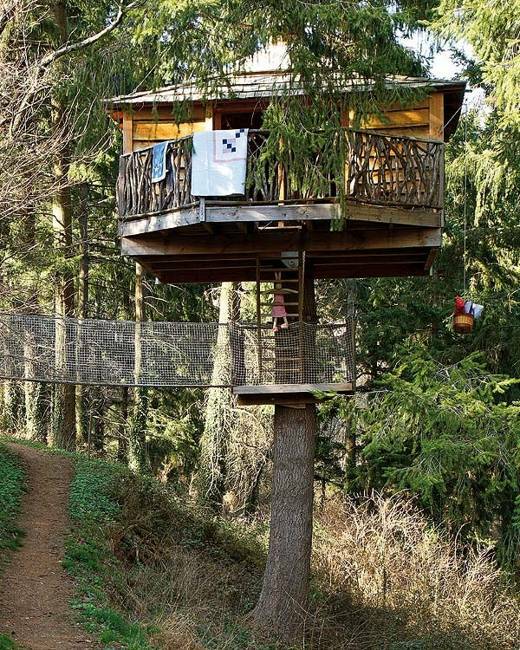 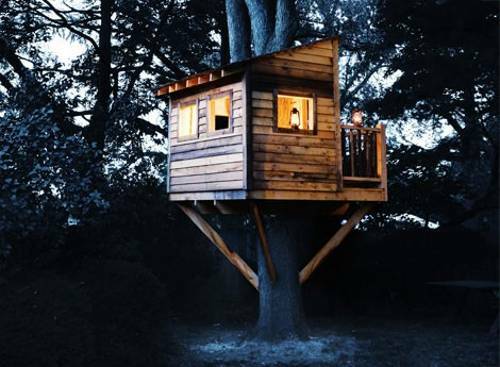 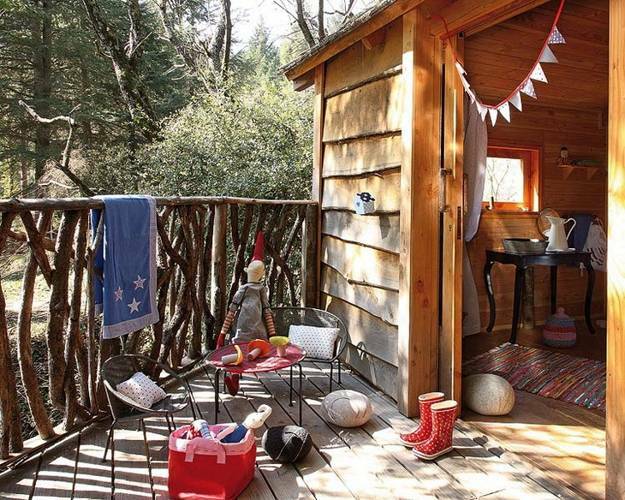 Tree houses make kids happier, and keep them active. 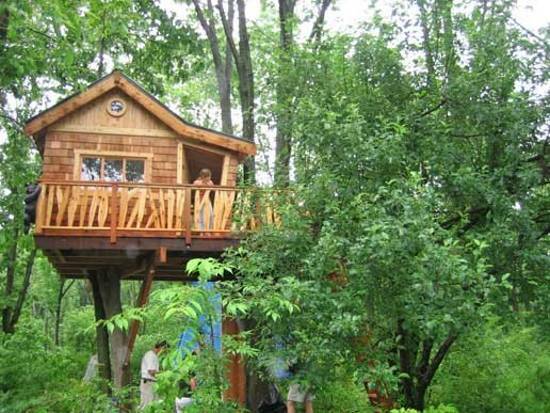 Any wooden structure, including those built in the big trees is not an actual place where people live or sleep and these small Green building projects do not require a permit. 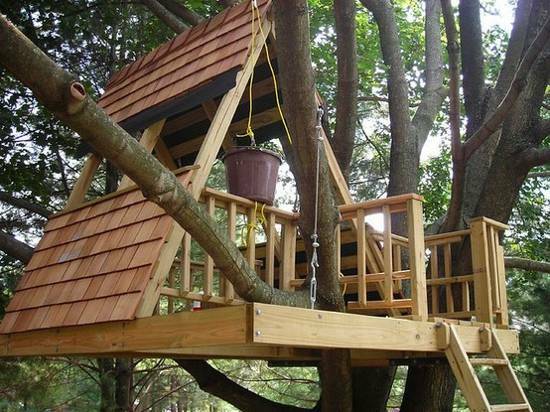 Safety is the major consideration for creating wonderful, unusual, welcoming and playful tree house designs for kids. 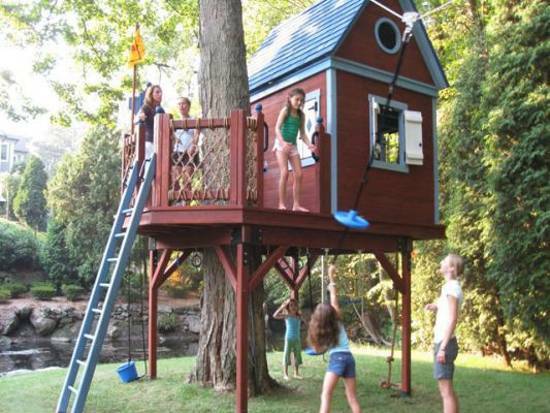 The structure of a tree house should be sturdy enough to support the weight of a few kids and furnishings. 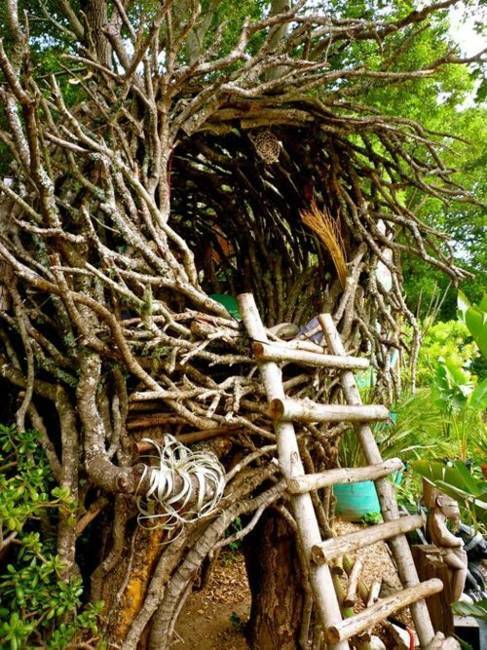 Building a tree house to be strong for adults helps make sure that the structure will be safe for kids. 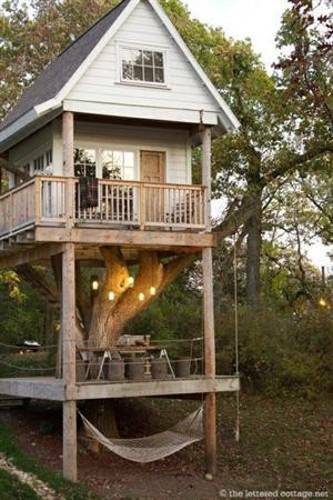 A sturdy base for the Green building in the tree results for strong tree house design. 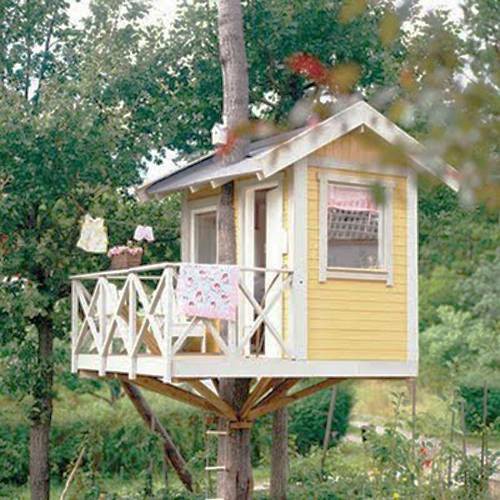 Large healthy trees may have limbs at the needed height to support the floor and walls. 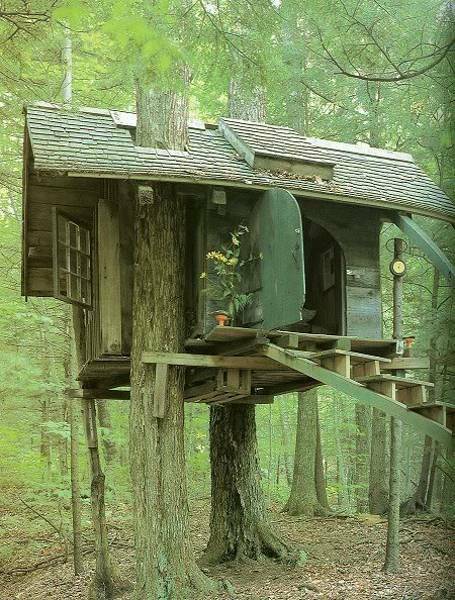 It is a great design idea to use lumber attached to the tree or to the ground to provide the base for the tree house floor and walls. 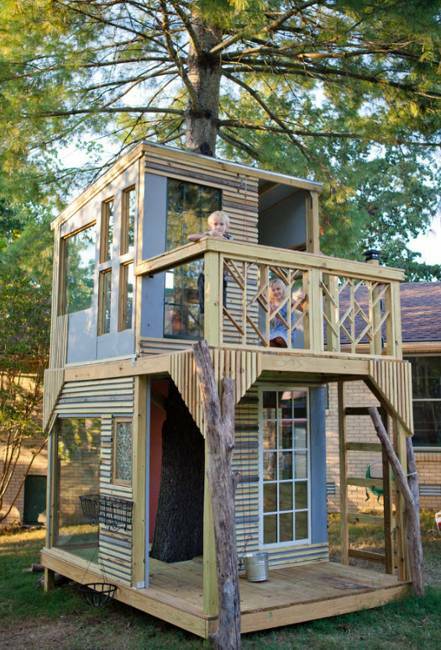 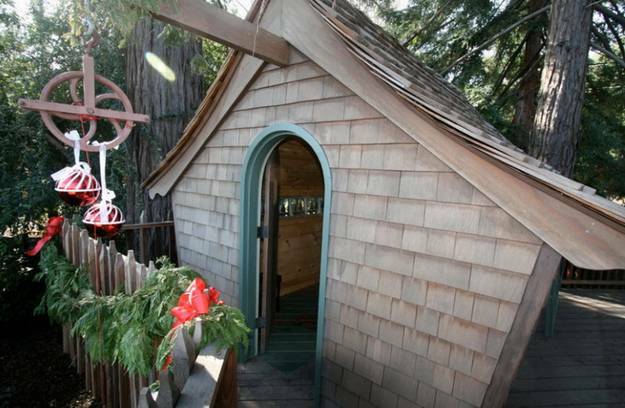 Tree house designs for kids look beautiful with a roof or as a an open deck. 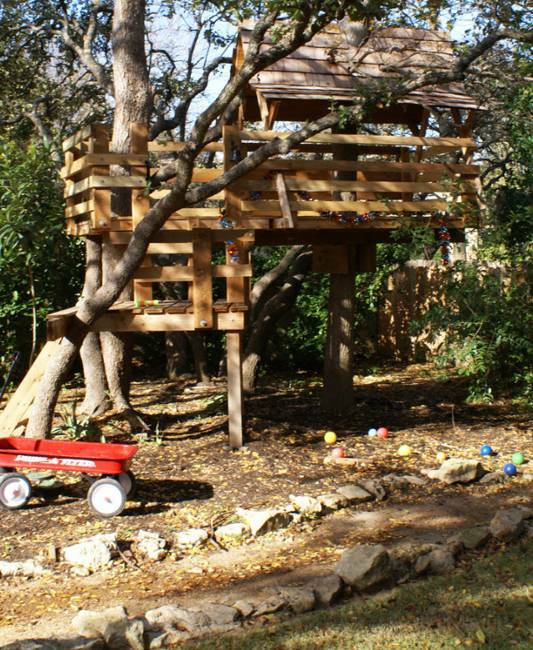 Any open areas requires a safe railing which protects kids on the suspended or elevated open deck. 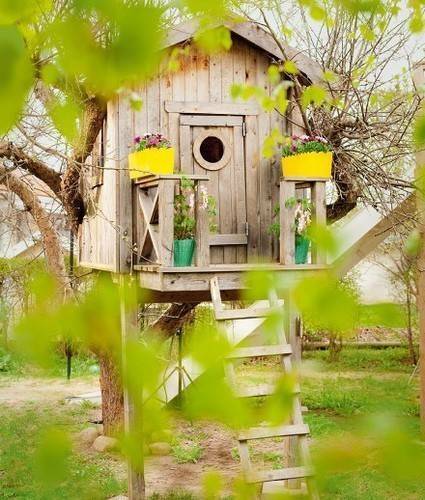 For planning DIY projects it is important to remember about the growth of the tree. 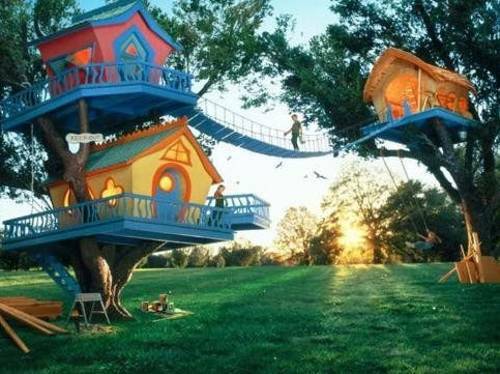 Tree house designs for kids can stay strong and durable for years when the trunk of the tree is not damaged during the construction. 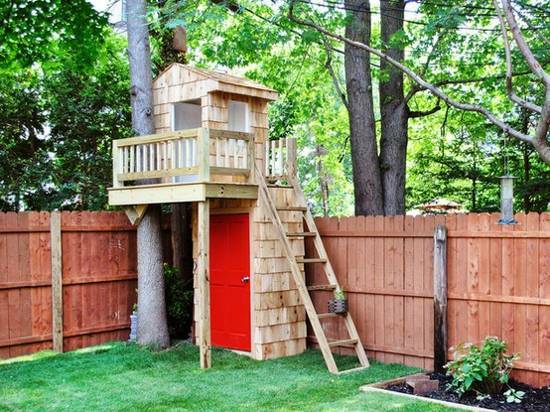 Tree house designs for kids are great home improvement and landscaping projects that bring lots of fun into backyard designs and create safe and attractive playground for kids. 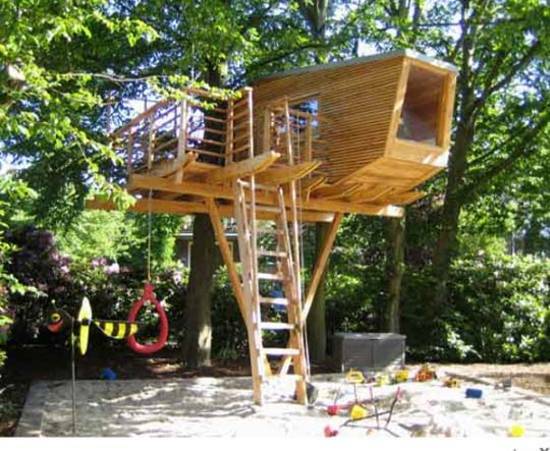 Well constructed, interesting and eco friendly Green buildings provide fabulous outdoor living spaces for children, and keep them active and very happy.